Stephen's work takes him a long time. They are usually highly detailed. His subject matter is interesting. 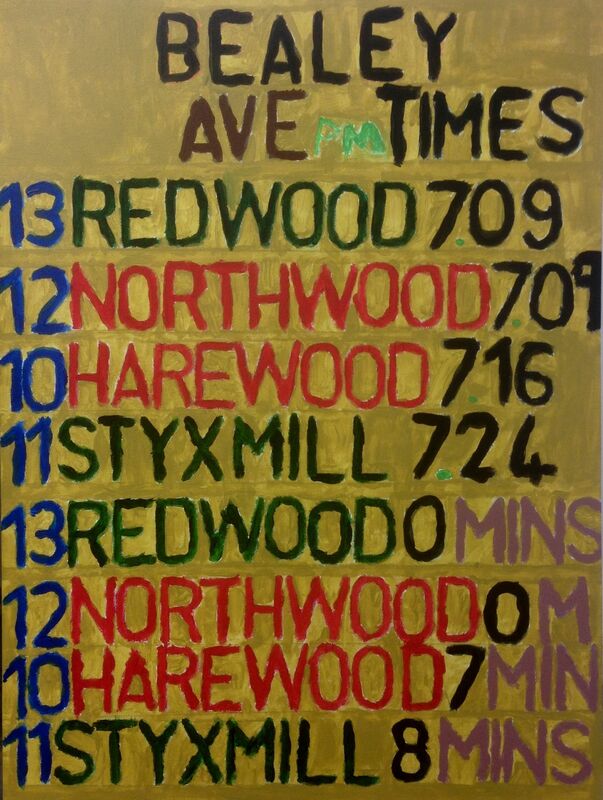 His painting "Bus Timetable" is a beauty. It shows the bus schedule and the time until a particular bus arrives. 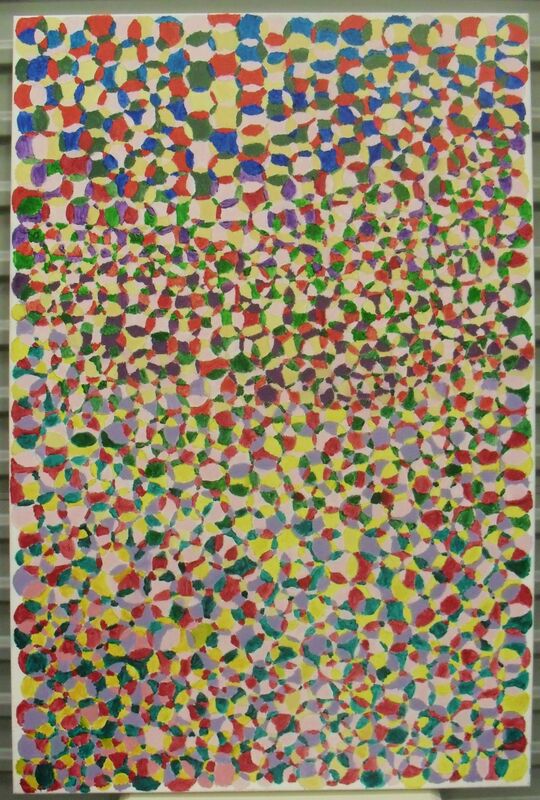 He spent a couple of months on this one painting. He likes to work with acrylic on canvas. Original generation time 1.2382 seconds.